The International Body Psychotherapy Journal (IBPJ) is the voice of body psychotherapy and somatic psychology around the world. The Journal’s mission is to support, promote, and stimulate the exchange of ideas, scholarship, and research within the field of body psychotherapy and somatic psychology, as well as to encourage an interdisciplinary exchange with related fields of clinical theory and practice. Our international publication evolved from the original United States Association for Body Psychotherapy Journal, founded by Dr. Jacqueline Carleton. Dr. Carleton’s expertise has guided the journal since its inception in 2001. The 10th anniversary edition appeared in 2011 and launched the transition to the International Body Psychotherapy Journal. The driving forceleading to creating a joint venture with our European colleagues was a desire to respond to the tremendous growth in the field of body psychotherapy and somatic psychology worldwide over the past ten years. 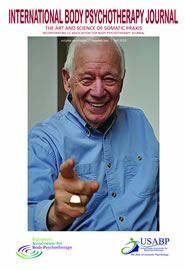 A tribute to our somatic pioneer Stanley Keleman who passed away this last year. Support Our Efforts to Grow Your Voice. Get the Journal! Subscribe to our email announcements. Order a print subscription for yourself or as a gift to another. Our goal is to support the growth and further scientific recognition of body psychotherapy and somatic psychology. We are moving to unify our colleagues around the world, evolve an important tool for cross pollination, and solidify a foundation from which our membership can be heard internationally. As the field continues to expand, the IBPJ’s aim is to broaden its readers’ horizons by inviting submissions of original theory, qualitative and quantitative research, experiential data, and case studies, as well as comparative and secondary analysis and literature reviews from clinicians and researchers practicing in all healthcare fields around the world. The IBPJ is managed by an Editorial Committee with members from both American and European associations. This is reflected in the synthesis of the Editorial Team and Advisory Board: The Editor-in-Chief (Madlen Algafari) is from Bulgaria, the Deputy Editor and Assisting Deputy Editors are from the United States (Dr. Aline LaPierre supported by Dr. Chris Walling and Dr Karen Roller) and the Managing Editor is from Greece (Antigone Oreopoulou). The Journal receives valuable support from an International Advisory Board with Consulting Editors and Peer Reviewers from different continents and countries. Come be a part of the IBPJ family! You can apply to become a Peer Reviewer, Book Reviewer, or submit an article. We will be thrilled to hear from you. Please write to deputyeditor@ibpj.org or consult the Journal website for more information. The joint publication evolved from the USABP Journal in response to tremendous growth in the field of body psychotherapy worldwide over the past two decades. As the field continues to expand, the Journal’s aim is to broaden its readers’ horizons by inviting submissions of original theory, qualitative and quantitative research, experiential data, and case studies, as well as comparative and secondary analysis and literature reviews from clinicians and researchers practicing in all healthcare fields across the globe. We are grateful for the contributions of so many people who have contributed to this mission. 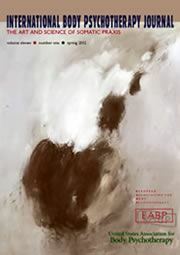 Since Autumn 2018 a new Editing Team has taken over with Madlen Algafari (EABP) as Editor in Chief and Associate Editors from the USABP headed by Dr. Aline La Pierre. Antigone Oreopoulou takes over as Managing Editor. JOIN OUR MAILING LIST AND SUBSCRIBE TO THE JOURNAL. GET IT AS GIFT FOR A COLLEAGUE OR FRIEND. The IBPJ Facebook page where you will be able to stay current with the Journal’s outreach and growth is in development.